Dolan provides continuous care for individuals suffering from a memory impairment due to Alzheimer’s disease and related dementias. Residents live in traditional ranch homes nestled within neighborhoods of St. Louis County. Once our Residents move in, they become a part of the family. Our social model of care is driven by research, which has proven that small residential group settings improve the quality of life of Residents and respective families. Residents participate in engaging activities to maximize their abilities and to maintain their independence. Dolan embraces Residents’ strengths. Dolan is assisted living with memory support. We provide continuity of care. Our Residents are never required to move to a different room, hallway, or house due to changes in the level of care they require. When you move into a Dolan home, you live in the same home through the end of life. Services such as podiatry, physician visits, hospice, physical therapy, occupational therapy, speech therapy, radiology, phlebotomy, and beauty services are provided on-site. This is aging in place. 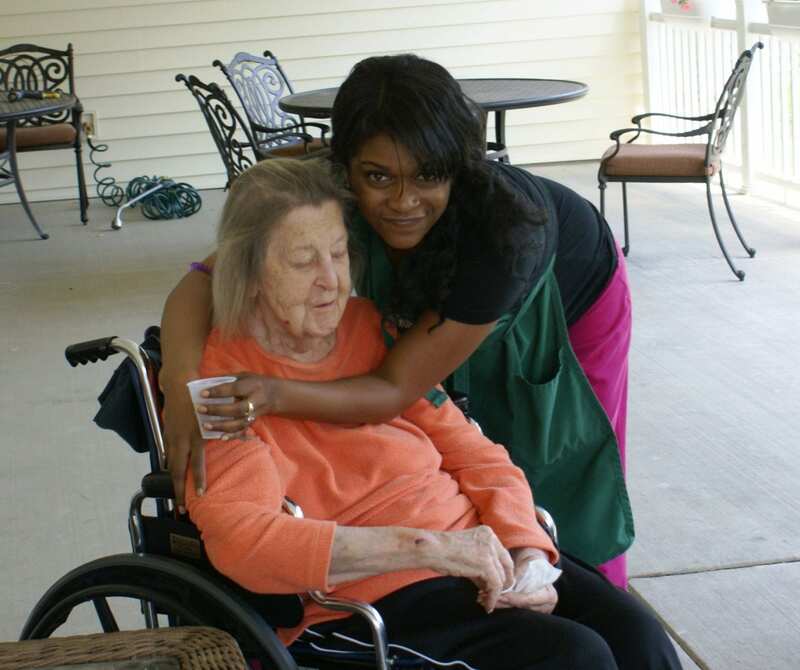 Our staff is comprised of licensed registered nurses, accredited social workers, certified medication administration aides, and skilled nursing assistants who all have been specially trained in the care of Alzheimer’s and related dementias. We maintain high care partner-to-resident ratios, which creates a calm, relaxing environment for the Residents and CarePartners. All care is provided under the direction and supervision of each Resident’s physician. Call 314-993-9500 for more information or to schedule a visit.